A city sign is the first thing visitors will notice about your community. 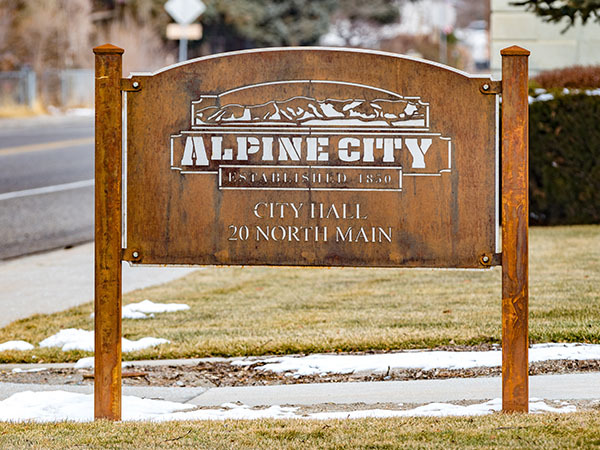 At Smith Steelworks, we design custom laser cut city signs that will add beauty to your city. Each metal sign is fully customizable from the color, design, to how it is installed. Our designer will work directly with you to make sure that it is what you have envisioned for your city. 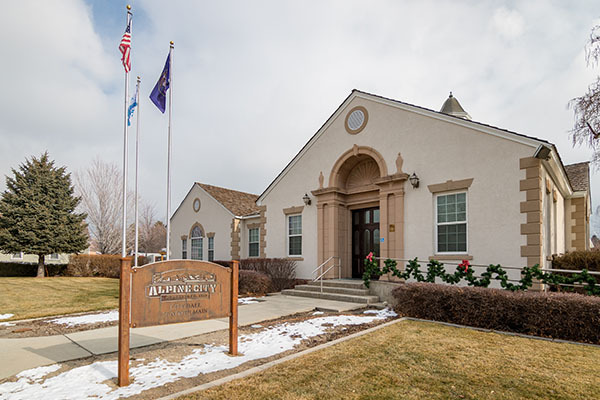 Give us a call at (801) 414-1724 or keep scrolling to learn more about our laser cut metal signs. To get started on your sign design, send us your city logo, sceneries, or other imagery that you would like featured on your sign. Our designers will then take your ideas to create a realistic mockup. 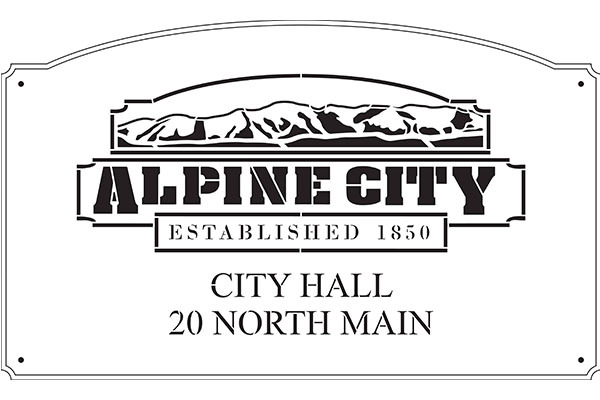 The city sign mockup will be emailed to you. This will be your chance to work with the designer on any changes that you would like made to the sign before it goes the laser cutting stage. After the city steel sign has been laser cut. It is either powder coated or rusted, depending on what fits your city’s style. The sign is then packaged up and mailed to your community. For a durable, long-lasting product, we use high-quality finishes that will last through years and years of harsh outdoor conditions. We provide powder coating (or rustic) finishes that are twice as thick as normal paint, and resistant to scratches, chips, and flakes. Our designers are capable of creating city signs as simple or intricate as you would like. 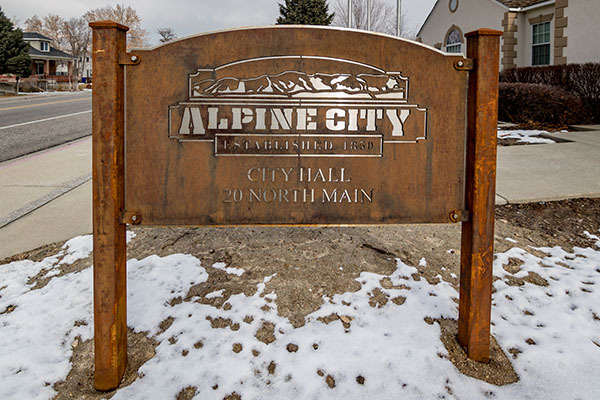 Adding a few different metal layers on a sign is the perfect way to add depth to the city sign, will helping the words stand-out from the surroundings. When ordering, be sure to include the sign dimensions, as well as how you plan on installing the finished sign. This helps our design team create the best, most durable sign for your community. A city sign is one of the first things visitors will notice about your community so make it a showstopper. The rustic metal finish adds a modern, beautiful touch to every sign and will continue to weather beautifully. Adding a logo is one way to incorporate your city brand into the sign. Send us the logo and we will do the rest.